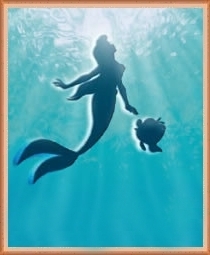 This site was created by a TLM fan as a fansite devoted to Ariel and her movie "The Little Mermaid". The Movies, The Series, TLM Broadway, the Color Gallery and the Art Gallery area. The collection area contains all the gadgets and gizmos that we have collected over the years. 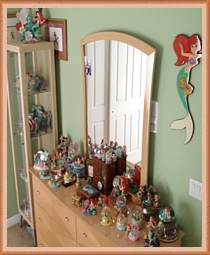 From snowglobes to pins, you'll find a great selection of different "The Little Mermaid" items. Some of these items come from Japan, France, UK, and other wonderful places! 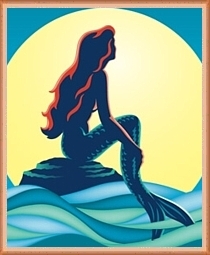 Don't forget to visit Ariel and her Secret Grotto where you can find all the places she loves to swim. Check the updates for new info about this page and recent news about Ariel and her friends! And of course, you can always let us know how much you enjoyed this site by signing in our guestbook area. 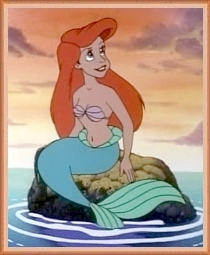 Mylittlemermaid.com is a non-profit, ,non-commercial, unofficial website created and maintained by a fan of Disney's "The Little Mermaid" movies. 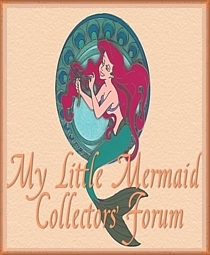 Mylittlemermaid.com is not affiliated in any way, shape, or form with The Walt Disney Company or any of their affiliates. All images and music in this site are owned and copyright by The Walt Disney Company and/or their respective affiliates or licensees that hold rights to any intellectual property. No infringement on any of these rights is intended. The design of this website along with the written content is Copyright 2007-2008 of mylittlemermaid.com.